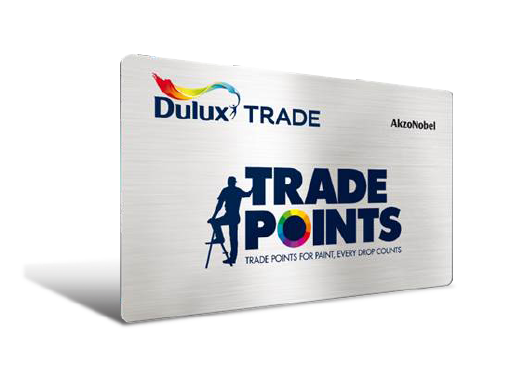 The Dulux Trade Points Dulux Loyalty Programme (the “Programme”) is operated by Dulux Paints Ireland Limited of Shandon Works, Commons Road, Cork with company number 120827 and VAT number 4813899B (“Dulux”). The Programme will be administered by Azpiral (“Azpiral”) on behalf of Dulux. Subject to these terms and conditions (the “Terms”), under the Programme trade customers of Dulux products can apply to sign-up to a loyalty account (“Account”) by registering his/her details with Dulux and nominating a retail outlet that is participating in the Programme as his/her home store (“Home Store”). Loyalty Members (“Loyalty Members”) will be issued with a Dulux loyalty card in either physical form or via the Mobile App (the “Account Card”) and, where required, further Dulux loyalty cards (either in physical form or via the Dulux mobile app (“Mobile App”)) for use by the authorised employees (“Authorised Users”) of the Loyalty Member (the “Authorised User Cards” and together with the Account Cards, the “Loyalty Cards”). Dulux will issue a maximum of nine (9) Authorised User Cards in respect of an Account. The Loyalty Member and Authorised Users can start earning points (“Points”) immediately upon receipt of the Loyalty Cards by using his/her Loyalty Cards in retail outlets that are participating in the Programme from time to time (“Retailers”). Loyalty Members who sign up for an Account will have the Account activated for spending points within two weeks. These Terms govern your participation in the Programme and the use of your Loyalty Cards. They also set out the terms of the contract between Dulux and the Loyalty Member. Please read them carefully and keep a copy for future reference. If a Loyalty Member has any questions about these Terms or his/her participation in the Programme, then please call the Dulux Help Desk Monday to Friday 9.30am to 5.30pm excluding public holidays (callers from the Republic of Ireland call: 01 893 4992 calls will be charged at standard rates). The physical Loyalty Cards remain the property of Dulux and use of the Mobile App is subject to the permission of Dulux. Dulux reserves the right to decline, issue or withdraw access to the Loyalty Cards at any time, or to alter, amend or terminate the Programme or these Terms at any time without prior notice. Participants in the Programme may be removed from the Programme at any time at the discretion of Dulux. All participants in the Programme must be trade professionals of at least 18 years old on the date of issue of his/her Loyalty Cards and must be resident in the Republic of Ireland. Eligibility to participate in the Programme shall be determined at the sole discretion of Dulux. Dulux staff members and Retailer staff members are excluded from participating in this Programme. Except as notified from time to time, Loyalty Cards (whether in physical form or via the Mobile App) can be used to earn Points in all participating Retailers’ stores in the Republic of Ireland. The Loyalty Member can only spend points in his/her Home Store or, where applicable, for rewards online at www.duluxtradepoints.ie or via the Mobile App. A Home Store can be altered by the Loyalty Member no more than once every 12 months by calling the Dulux Help Desk Monday to Friday 9.30am to 5.30pm excluding public holidays (callers from the Republic of Ireland call: 01 893 4992 calls will be charged at standard rates). Dulux reserves the right to alter the Home Store linked to an Account at any time in its sole discretion for operational reasons. Participation in the Programme is personal to the Loyalty Member. A Loyalty Member is responsible for the proper use and security of all Loyalty Cards and Points that are linked to his/her Account. Loyalty Members cannot share or transfer his/her Points. In circumstances where a Loyalty Member opts to provide Authorised User Cards to Authorised Users, the Loyalty Member agrees that they are solely responsible for the actions of such Authorised Users, including any use of the Authorised User Cards in any manner which contravenes these Terms or any mistaken use of the Authorised User Cards. Dulux shall not be responsible for use of the Authorised User Cards in a manner which would contravene these Terms or for any incorrect or mistaken use of an Authorised User Card by an Authorised User. (e) a Loyalty Member or Authorised User is abusive or offensive to any member of Dulux’s or a Retailer’s staff. A Loyalty Member can also close his/her Account at any time by notifying Dulux in writing or by calling the Dulux Help Desk Monday to Friday 9.30am to 5.30pm excluding public holidays (callers from the Republic of Ireland call: 01 893 4992 calls will be charged at standard rates). If an Account is closed for any reason, all rights to spend the Points in that Account are lost. As a welcome gift from Dulux, new Accounts will be preloaded with 500 points in spend value upon acceptance of these Terms that may be spent on Dulux products in the Loyalty Member’s Home Store. A Loyalty Member can only avail of this gift once the Loyalty Card has been registered and can only avail of one such gift. The reissuance of a Loyalty Card will not qualify an Account for the gift. Points may be earned in the following ways: (i) a Loyalty Member or Authorised User must present his/her Loyalty Card at the checkout prior to completion of a purchase transaction which will then be scanned by the Dulux Loyalty Card reader; or (ii), in respect of credit purchases, the Loyalty Member must link his/her Retailer account number to their Account prior to completing an order from the relevant Retailer. Points cannot be earned once a purchase transaction is complete. It may take up to one week for Points to be added to a Loyalty Member’s Account. Points earned during a purchase transaction will only be allocated to the Loyalty Member’s Account once the purchase transaction is complete. Except as otherwise stated or advertised, for every €1 spent (excluding VAT) in a single purchase transaction on Dulux products (which includes the Dulux, Dulux Trade, Armstead, Polycell, Cuprinol, and Sikkens brands) in a participating Retailer, a Loyalty Member will earn one (1) Point for the relevant Account. At least €1 must be spent in order to qualify for 1 point. Points are awarded after any relevant discounts or promotions have been deducted from the entire purchase. Dulux may award additional Points for promotions/offers or other activities from time to time such as ‘test and tell’ programmes and attendance at events hosted by Dulux. Dulux may from time to time operate competitions and draws in relation to which separate terms and conditions shall apply. Products and ranges may be excluded from the Programme at any time and without prior notice and such changes will be at the discretion of Dulux or as may be directed by Irish or EU legislation. Points earned do not have any monetary value and cannot be exchanged for cash. Dulux reserves the right to withdraw promotions/offers for additional Points without notice. Loyalty Members registered in the Republic of Ireland can only earn Points in Retailers outlets in the Republic of Ireland that are participating in the Programme. If a Loyalty Member or Authorised User returns products/purchases which he/she has bought with cash, with credit/debit card or on credit terms (as agreed between the Loyalty Member and the Retailer) and presented his/her Loyalty Card (whether in physical form or via the Mobile App) during the purchase transaction, the Loyalty Member or Authorised User must present his/her Loyalty Card (whether in physical form or via the Mobile App) to the Retailer and the Retailer shall effect a deduction of the Points earned on the Account that relates to such returned products/purchases. If a Loyalty Member or Authorised User returns products/purchases in circumstances where he/she tendered for the products/purchases using Points on his/her Loyalty Card (whether in physical form or via the Mobile App) the Points will be re-allocated to the Loyalty Member’s Account. If a Loyalty Member or Authorised User exchanges products/purchases then Dulux is also entitled to cancel these Points, unless he/she exchanges for products/purchases with an equivalent Points value. If a Loyalty Member or Authorised User exchanges for products/purchases with a lower Points value then Dulux is entitled to deduct the balance of the Points from the Account that relates to such exchanged products/purchases. In order to be able to spend or use Points in the Home Store, a Loyalty Member must have registered his/her Account with Dulux and have earned a minimum of 500 Points. One (1) Point has a spend value of one (1) cent when used as a method of payment for products/purchases. Points can only be spent or used in the Loyalty Member’s Home Store. Certain Retailer stores may not be capable of deducting points from a Loyalty Card (whether in physical form or via the Mobile App) for technical reasons and in such circumstances the Loyalty Member must download and print a voucher from their online account to present in store to avail of the discount. A list of such Retailers will be contained on www.duluxtradepoints.ie or by calling the Dulux Help Desk Monday to Friday 9.30am to 5.30pm excluding public holidays (callers from the Republic of Ireland call: 01 893 4992 calls will be charged at standard rates). Points can be used as full or part payment against products/purchases in the Home Store. Points may also, where available, be redeemed against other rewards or vouchers via the website www.duluxtradepoints.ie or the Mobile App. The rewards and vouchers available from time to time may be renewed at www.duluxtradepoints.ie. Such rewards or vouchers will be sent to the Loyalty Member by post or email to the address registered to the Account. Additional terms and conditions might apply to such rewards or vouchers and by redeeming their points for such rewards or vouchers the Loyalty Member accepts such terms and conditions. Dulux accepts no liability for a Loyalty Member’s acceptance or use of a reward or voucher or for any expectations that may have been held in relation to such. To avail of points as part payment, a Loyalty Member or Authorised User must present the Loyalty Card (whether in physical form or via the Mobile App) in the Home Store before completing the purchase transaction. Upon spending Points, the appropriate number of Points will be removed from the Loyalty Member’s Account. If a Loyalty Member’s Account has been inactive (i.e. the Loyalty Member or his/her employee has not used his/her Loyalty Card (whether in physical form or via the Mobile App) to earn or spend Points) for a period of 12 months, Points or any spend value on the Account will expire and will be removed. Points are not earned on products/purchases for which full payment is made by spending Points. Where part payment is made by spending points, the value of points earned will be equal to the balance paid. Dulux reserves the right to reject any Loyalty Card (whether in physical form or via the Mobile App) that it reasonably determines has been forged or otherwise tampered with. Dulux reserve the right to replace the Promotion with one of equal or greater value in the event of unavailability due to circumstances beyond its control. By applying to participate in the Promotion all applicants/participants are deemed to have indicated acceptance of these terms and conditions. 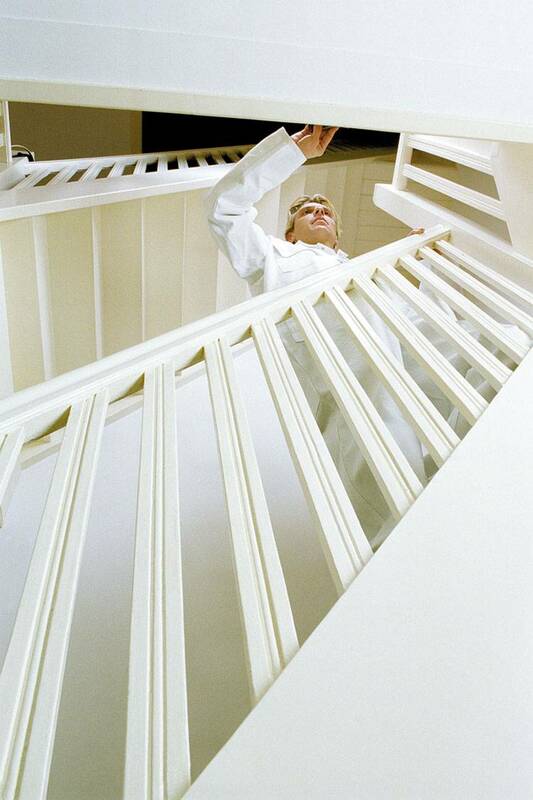 Insofar as permitted by law, Neither Dulux nor the Administrator, nor their respective agents or distributors will be responsible or liable to compensate the Loyalty Member or Authorised User or other bearer, or accept any liability, for any personal loss or injury occurring whilst participating in the Promotion. Neither can they guarantee the quality and/or availability of the services offered when participating in the Promotion and cannot be held liable for any resulting personal loss or damage. Your statutory rights are unaffected. The promoter of the Programme is Dulux Paints Ireland Limited. Each physical Loyalty Card is the property of Dulux and it must be surrendered or destroyed if so requested by Dulux. In the event that a Loyalty Card is damaged, lost or stolen, a replacement Loyalty Card will be available at the discretion of Dulux. Replacement Loyalty Cards can be picked up at the Loyalty Member’s Home Store or ordered by calling the Dulux Help Desk Monday to Friday 9.30am to 5.30pm excluding public holidays (callers from the Republic of Ireland call: 01 893 4992 calls will be charged at standard rates) or requesting a replacement Loyalty Card online at www.duluxtradepoints.ie. Reissued physical Loyalty Cards will be sent to the Loyalty Member by post at the address registered to the Account and will be linked to the main Account. Any Loyalty Member who chooses to pick up their replacement Loyalty Card from their Home Store needs to link such replacement to their existing account by logging into their account online at www.duluxtradepoints.ie, via the mobile app or the Dulux Help Desk Monday to Friday 9.30am to 5.30pm excluding public holidays (callers from the Republic of Ireland call: 01 893 4992 calls will be charged at standard rates). Dulux will notify Loyalty Members of any changes to these Terms or the Programme. Notices detailing the revised or current Terms will be available in all participating Dulux stores and online at www.duluxtradepoints.ie. Loyalty Members are responsible for ensuring that any Authorised Users linked to their Account are made aware of and abide by any such revised Terms. Dulux may suspend or close the Programme at any time but it will endeavour to give Loyalty Members as much notice as it reasonably can on www.duluxtradepoints.ie, the Mobile App and/or by displaying notices in Retailers’ store. In circumstances where Dulux closes the Programme any unspent Points in an Account at the date of closure shall be lost and are not transferrable or exchangeable for cash. A Loyalty Member will supply personal details (“Personal Data“) during the application process whether related to the Loyalty Member and/or his/her employees or other authorised users (“Authorised Users“) which will be processed by Dulux (the controller of Personal Data). Other than as stated below, no Personal Data will be shared with or processed by anyone or any organisation other than Dulux, its service providers or the Retailers (the processors of Personal Data). The Loyalty Member undertakes that, to the extent that he/she supplied or supplies Personal Data in respect of his/her Authorised Users, he/she has obtained the necessary consents from his/her Authorised Users to permit Dulux to use their Personal Data for the purposes of the Programme. The Loyalty Member also undertakes to provide a copy of these Terms (and, in particular, this data protection notice) to its Authorised Users. Performing these Terms/our contract with you. For example, where you purchase/return Product(s) using your Loyalty Card, Dulux will need to use: (a) your Personal Data; (b) Loyalty Card; and (c) payment information in order to process your purchase/return of Product(s). Dulux may also process Personal Data relating to Loyalty Members (and/or his/her Authorised Users) to manage and administer the Programme. If a Loyalty Member does not supply his/her (or an Authorised Users’) for these purposes Personal Data then it will not be possible to: (a) register a Loyalty Card and therefore, become a Loyalty Member of the Programme; or (b) collect Loyalty Card points and/or redeem Loyalty Card rewards. Loyalty Member consent. For example, where a Loyalty Member indicates he/she would like to receive marketing information from Dulux and/or third parties (by email, in-App messages, SMS, post or via the Dulux website). Dulux will provide such Loyalty Members with information about offers and new products/services from Dulux or the Programme based on: (a) Loyalty Member purchases; and/or (b) Loyalty Member marketing preferences communicated to Dulux.A Loyalty Member (including his/her Authorised Users) can opt-out of receiving marketing communications at any time by ticking the appropriate box on the form to register for the Programme by contacting the Dulux Help Desk Monday to Friday 9.30am to 5.30pm excluding public holidays (callers from the Republic of Ireland call: 01 893 4992 calls will be charged at standard rates) or by using the ‘opt-out’/unsubscribe link provided in the relevant SMS, e-mail or in-App message). Dulux’s legitimate interests. For example, Dulux considers it has legitimate interests to use Personal Data to: (a) analyse the products purchased by and points collected or redeemed by Loyalty Members; (b) manage and administer the Programme and improve the way it is run; and (c) keep records of any correspondence which it has with Loyalty Members. Dulux considers it is necessary to use Personal Data to carry out these legitimate interests and has implemented processes which ensure that the use of Personal Data in this manner is balanced against your privacy rights (and those of Authorised Users). A Loyalty Member can opt in if he/she wishes to be contacted by selected Dulux partners including his/her Home Store Retailer for direct marketing purposes from time to time (including by e-mail and SMS) with information about products, services and special offers provided by that third party, by ticking the appropriate box on the Registration Form, separate terms and conditions shall apply. The Personal Data that Dulux collects from Loyalty Members (including Authorised Users) may be processed by Dulux staff or service providers on behalf of Dulux. Such staff or service providers may be engaged in, among other things, the provision of ancillary services such as customer support. By submitting Personal Data, Loyalty Members agree to such processing (and confirm that any Authorised Users also agree to this processing. We will take all steps reasonably necessary to ensure that Personal Data are treated securely, in accordance with this Data Protection Notice and applicable data protection law. If Dulux is sold or transferred to another company, Dulux may transfer all of its rights and obligations under these Terms and may disclose or transfer all information it holds about you to a prospective or actual new owner. This sharing or transfer will not alter a Loyalty Member’s rights in respect of the use that can be made of his/her Personal Data by that other company. Dulux will retain Loyalty Member (including Authorised User) Personal Data for as long as each Loyalty Member remains signed up to the Programme. If a Loyalty Member has an inactive profile for a period of 12 months, Dulux will contact such a Loyalty Member to check whether he/she wishes to remain in the Programme. Following removal from the Programme, Dulux will retain such Personal Data for a further period of 12 months. Under applicable data protection law, each Loyalty Member and Authorised User has a number of rights when it comes to his/her Personal Data. These rights are: to know if Dulux holds his/her Personal Data and, if so, to request access to his/her Personal Data held by Dulux; to erase or rectify his/her Personal Data; to restrict the processing of or to object to the use of his/her Personal Data; to block any specific uses of Personal Data; and to transfer or receive his/her personal data from Dulux (right to data portability). Loyalty Members also have a right to lodge a complaint regarding the processing of their Personal Data to the Office of the Data Protection Commissioner. To exercise any of these rights, visit www.duluxtradepoints.ie or call 01 893 4992. Dulux may charge a fee for carrying out a request where Dulux considers that a request is manifestly unfounded, excessive or repetitive or where a Loyalty Member asks for further copies of his/her Personal Data after Dulux responds to a request. It is important that Loyalty Members details are kept update to date so that Dulux can operate the Programme effectively. If a Loyalty Member wishes to clarify Account matters, change or update his/her details on his/her Account, he/she can do so online at www.duluxtradepoints.ie by updating his/her profile or, where available, via the Mobile App. Alternatively, he/she can do so by contacting the Dulux Help Desk Monday to Friday 9:30am to 5:30pm excluding public holidays (callers from the Republic of Ireland call: 01 893 4992 calls will be charged at standard rates).